A Lagos State Magistrate Court sitting in Ogba has remanded three men in prison for allegedly reconnecting customers of Ikeja Electric (IE) who had been disconnected following outstanding bills owed the Disco. The men Adegoke Azeez, TijaniRasaq and Goodnews Sunday, were arraigned before the court by the police on a three count charge of attempt to commit felony by committing an offence contrary to and punishable under section 411 and 168 of the Criminal Law, Law of Lagos State of Nigeria 2015. According to the police the accused persons were apprehended in the late hours of Thursday 21stDecember, 2017 at Abiola Street, Oke-Ira, Ogba, Lagos while tampering with Ikeja Electric installations. The court also ordered that the two sureties most have tax clearance and verifiable house addresses. The accused persons are to remain in prison custody until they perfect their bail conditions. In his reaction, Head Corporate Communications Ikeja Electric, Felix Ofulue said that the company had resolved to confront fraudulent and unethical practices in its network. He bemoaned the rising cases of vandalism in some communities, cautioning customers against engaging unauthorized technicians who reconnect owing customers, or tamper with IE’s meters and other installations. Ofulue pointed out that those illegal activities on IE’s network could cause overload on transformers, increasing risk of damage to assets and even customer appliances. 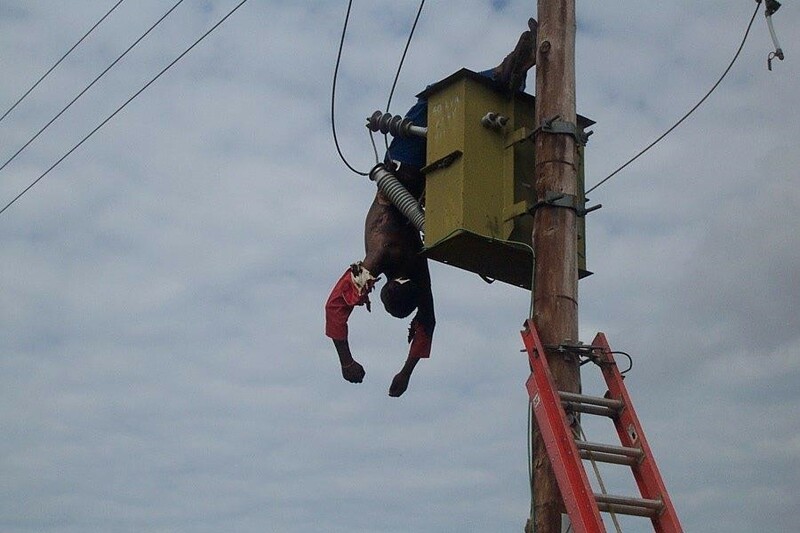 “It is a crime to tamper with electrical assets and it is also a dangerous activity that could lead to loss of life and property when unqualified technicians meddle with the connections just for some paltry financial gain”, Ofulue said. The Communications Chief called on members of the Community to report any case of vandalism and asset tampering to the nearest IE office.